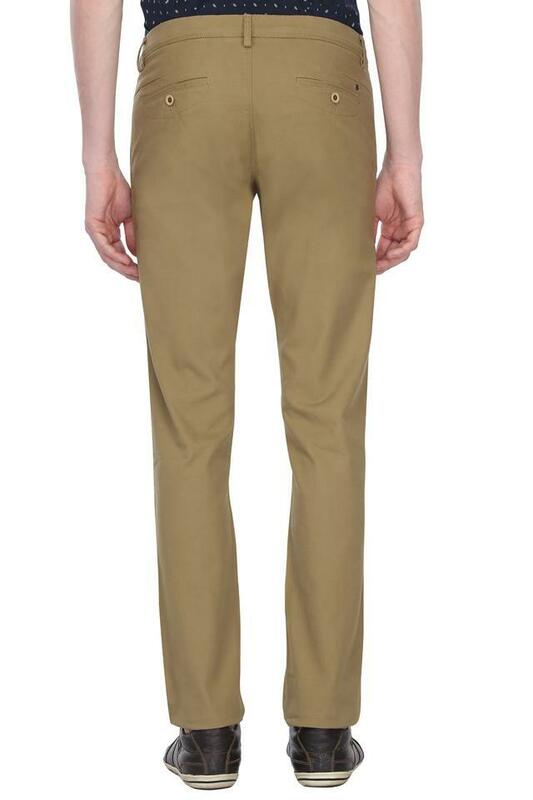 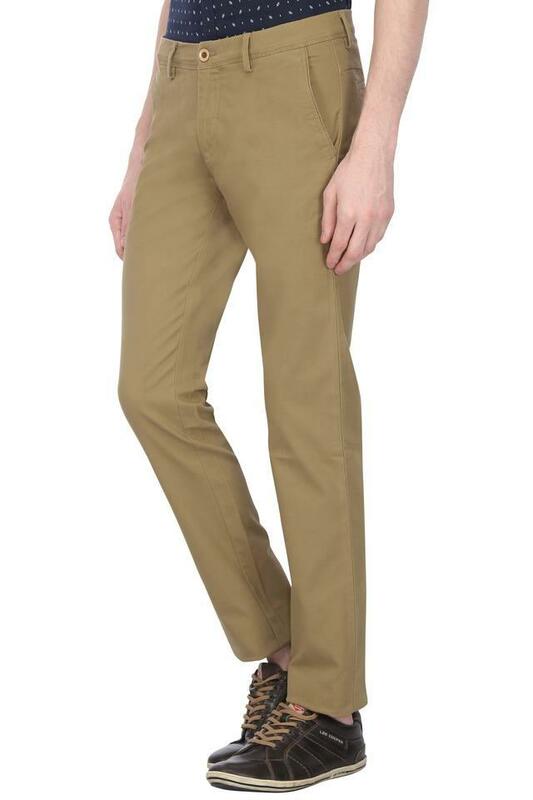 Hit the road in style by wearing this pair of trousers from Allen Solly. It will provide you with maximum breathability, owing to the use of good quality fabric. In addition, it features a solid pattern, which renders it fashionable. The waistband with belt loops further ensures a proper fit. 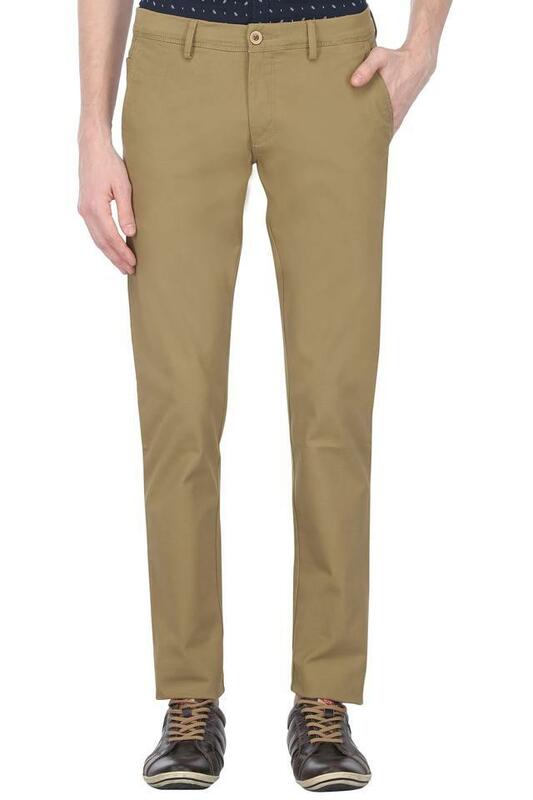 Add spark to your clothing collection with this pair of trousers. 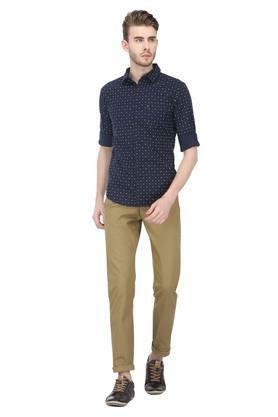 It can be worn with a shirt and a pair of canvas shoes to complete your look for any casual occasion.